A report published by the Energy Saving Trust (EST) has drawn attention to one of the less obvious causes of domestic energy wastage. 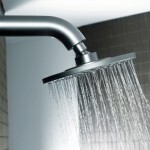 According to the report, using too much hot water can increase energy bills by a considerable amount each year. But the EST found that households rarely consider the effects of washing dishes by hand, boiling too much water or extending a shower by a minute or two. Andrew Tucker, Manager of Water Strategy at the EST, suggested that people tend not to think of water when assessing the cost of energy. As reported by the BBC, Mr Tucker said: “It’s all too easy to turn on the tap and not think about the consequences. But there is an environmental and energy cost attached to water which many people do not consider”. The report, which analysed the energy usage of 86,000 UK households, found that water heated by a central heating systems increased the average annual energy bill by as much as £228. The EST also drew attention to the over-use of three popular kitchen appliances: washing machines, dishwashers and kettles. Only five per cent of households went a day without boiling a kettle of water, whilst almost half boiled water at least five times daily. Kitchen appliances, including taps, account for 22 per cent of household water consumption. Mr Tucker believes that households should take ownership of every aspect of their energy consumption, including water. By washing clothes at a low temperature (30C) and filling kettles only to the required level, Mr Tucker insists that considerable savings can be made each year. In a separate study published earlier this month, the Consumer Council for Water revealed that as much as £235 could be shaved off annual energy bills by installing a high-efficiency condensing boiler. Fixing dripping hot water taps can save a further 20 over the year, whilst limiting time in the shower could save half as much. Other ways to reduce energy consumption include installing loft and cavity wall insulation, which according to British Gas can reduce heating bills by more than £300 a year. The energy supplier also estimates that £165 could be saved each year by installing double glazing (B rated). NEXT POST Is door to door selling the way to save the Green Deal?